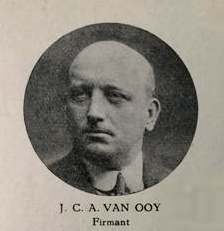 In 1912 the company 'Van Ooy & Co' was founded by J.C.A. Van Ooy in the centre of Amsterdam. In 1988 the company moved to the industry-area 'Waarderpolder' in Haarlem. Since 1998 Van Ooy also has its own place on the web. From shell to cue tip, cloth to slate and cushions, over 2.000 different articles are distributed to specialised billiardshops only.